"Flexible, Extendable, Easy to Learn, in short - Terrific!" Our favorite features of this content management system are 1) The high level of security and 2) the ability to bring in any customized design or framework and have it work flawlessly and unencumbered by the CMS. 3) ExpressionEngine allows our clients to own their data, contentand design and to take it with them wherever they go in terms of hosting and ongoing maintenance and upgrades. 4) ExpressionEngine can be simple for non-developers use and maintain if setup correctly with the client's needs and desires in mind. 5) The control panel is fast and flexible in terms of layout. You can customize it to suit your needs making it fast to use and greatly reduces the amount of clicks between sections compared to other CMS we've used. There is not much to dislike about ExpressionEngine. I guess our biggest issue would be the poor documentation of some 3rd-party addons when needed to complete a project. Since ExpressionEngine just changed to an open-source product, I imagine this issue will be resolved as more developers jump in to addon development. EE has helped us solve issues related to customized event management solutions, Easy site updates and maintenance on the client side, and has brought us the ability to truly customize both front and back-end of websites we develop. Additionally we have found that regular website and database management is quicker with EE which allows us to provide those services at lower costs to our clients. ExpressionEngine is very user friendly! It has all the essentials you need for a CMS with zero clutter of junk. This was the first CMS I worked with at my job, which shows you that it was very easy to teach myself the ends and outs of EE. Sometimes creating forms on EE can be cumbersome. I had to have our website developer step in to help in this regard. Also we had to add captchas to our forms to stop spamming. You should definitely give EE a chance over WordPress. We have a great website that is managed by EE. It's also easy on our budget using EE, so that definitely helps our company. I have found EE to be highly extendable. We have member-specific content, discussion forums, wikis, and a ratings system (in addition to regular site content) all running on ExpressionEngine. The support is top notch. We pay for the silver support plan ($49/mo) and it is 100% worth it. The ExpressionEngine support folks are knowledgeable and speedy with their responses. I have never actually expedited a ticket because I know I will have a reply within a few hours by filing a regular ticket. EE 3 has a more user-friendly interface for site admins (compared to EE 2). There are so many settings that can be customized, sometimes it's difficult to remember where certain settings live. Of course, EE is well documented so it's usually easy to look up the answer (or if all else fails, file a support ticket). 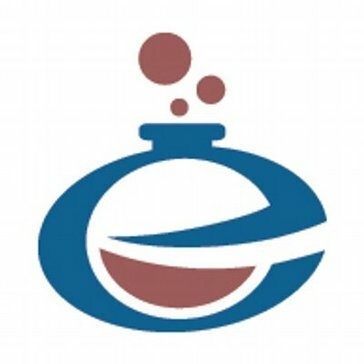 I have found EE to be a great alternative for those considering WordPress or Drupal. Take a look at all 3 and consider how customizable you want your installation to be. If you are willing to pay a little extra per month for the EE support plan, it is totally worth it, and the support techs can even help with implementation of premium add-ons, etc. We wanted something that was more secure and with better support than some of the open source options out there. EE makes it easy for us to run a membership-based site where we can control what content is visible to site members vs. guests. "No contest—from what I've seen and heard, it's the best." Because it's the update and I have the most experience with the new version, I'm going to speak about 3.0—ultimately, it's very user-friendly. Even to people who aren't necessarily on the developer side (like me). The functionality of the program is great, the new Assets feature is wonderful (although there are a few bugs that will eventually be fixed), and it's pretty straightforward. It's sometimes difficult to find things unless you've used the program a few times (thoroughly) before. Every so often, I find myself nosing around through tabs I don't normally go to in order to try to find a space to integrate content. The Assets feature also has some kinks to work out, but overall it's a great version. Take a chunk of time to just mess around with it and learn it through experience—it can be a little overwhelming at first if you're not a developer, but you'll certainly catch on after using it a bit. Because I work for a web development company, it's our primary tool for building every site and it's apparently much better than what they used in the past. It's user-friendly enough that everyone can implement changes and content confidently and often without asking for help from any of the dev team. "Not recommended for Small Business "
The platform is somewhere in the middle of Wordpress and Larger platforms as far as ease of use is concerned. Most page and template changes, as well as cart changes are all code. Costs a lot of money to maintain and update this site. As a non developer I prefer something more user friendly to a non coder. Doing basic marketing functions on this site, like adding Landing pages, banners, pop ups, add-ons, etc are very challenging. Doesn't have a lot of basic stuff built in. Again, can be added but it's all code. Blog posts are hard to customize compared to other platforms I've used. Seems like it's missing a lot of basic stuff for a CMS. Unless you have a website budget in the $20k's + I'd steer clear. It takes a lot of development to set this up and get it running properly. We regret not using Shopify after only 6 months on this, because every change costs more money, and we're still not getting all the features available right out of the box with Shopify. We run another branded website on Shopify so it's easy to compare and contrast the two. EE is such an unknown platform that most people aren't developing integrations for it, so we're very limited in what we can even use as an add on. Using this with Carthrob to run our eCommerce website. "ExpressionEngine - The Ultimate CMS"
I love how easy it is to use ExpressionEngine. I work for a web design agency, but had no background in web design. Our developers were able to bring me up to speed so that I can enter content, create forms, and manage SEO. I am the digital content strategist for the company and I work with the clients to help manage their content and make it appropriate for the CMS. One thing I wish could be improved upon is the user experience once it meets the client. For our team, we understand the backend of EE, but I think clients, who aren't familiar with a content management system, would appreciate a more streamlined backend process. If you work for a web agency, I would highly recommend considering ExpressionEngine. The community is great and they are very easy and pleasant to work with. ExpressionEngine use to use, even if you've never worked with a content management system before. Hopefully, you have a team of helpful developers around you to walk you through the process! We build all of our websites with ExpressionEngine. We have used other content management systems, but ExpressionEngine by Ellis Labs is the best we've come across. "Powerful, flexible, extensible CMS for folks who have outgrown WordPress." ExpressionEngine should be evaluated from two perspectives. ExpressionEngine offers an intuitive content management experience for users. In our experience, content editors enjoy ExpressionEngine's ease of use, as long as the developer takes the time to set it up correctly. * ExpressionEngine's loyalty to its legacy codebase creates extra work for developers. 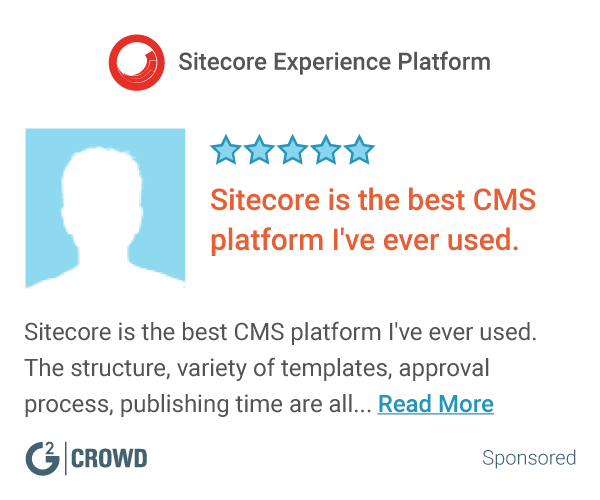 * Too much reliance on third-party add-ons to accomplish tasks that are built in to other CMS. * Updating process is a headache. This CMS is best suited to higher-budget, custom websites. If you want a template-driven, somewhat generic site that just works, and/or you have a small budget, stick with WordPress or similar software. On the other hand, if you have a solid budget, clear planning process, and professional design you'd like to implement, ExpressionEngine is a strong contender. Unsure what's best? Hire a developer to spend a few hours walking your web or marketing team through the software, showing both the development aspects and the content editor's perspective. This is the fastest way to get a sense of ExpressionEngine's value to your business. As a branding, web design and development shop, Versa Studio has created and supported over 50 ExpressionEngine-driven sites. It's been our go-to CMS for 9 years, our key software for creating sites that support our clients' business goals. Our clients benefit from ExpressionEngine's ability to adapt to their business goals, as expressed in design, features and content structure. I love the easy interface to update our sites. Once the system is in place, our tech team was able to "train" us no-techie people to update the system fairly easily. Utilize EE for our business website as well as for our event registration system. It has allowed us to take on some of the design elements to free up our actual tech team. "Most flexbile CMS on the market and getting better." EE's variable system is amazing. You don't have to learn an entire new tempting system since their tools allow you to template and create your own system. They have a great third party catalog of plugins so if you are looking to get something done quick you can. The single best thing you can say about expression engine is it doesn't force you into any systems. It's pricey, not for smaller commercial projects as the software itself is pretty pricey. In the past they have been slow to update and adopt new code, but that's all changing with EE3 so thats only a complaint for ee2. ExpressionEngine 3 was just launched this year and its being built out quickly, but some thirdy party plugins are a bit behind in getting updated. But I expect EE3 to be just as great and better than EE2. If its in your budget I would get EE in a heart beat, and not even bother with the other CMS's out there. Expression Engine gives you a giant leg up when building large websites for companies. Its got a fairly easy to use UI (and getting better). EE has allowed me to get complicated websites up and running very quickly keep dev time low. "Expression Engine - A new user's opinion"
I like how customizable the software is in terms of layout as well as data. You can have significantly sophisticated data sets that EE easily manages. It feels a bit dated from a design and UX perspective. Other CMS I've worked with are a bit more intuitive, but that's coming from a non-developer's perspective. I would look at what will work best with your front-end and easily integrates with other tools you're using. One regret I have is that we had a custom site built, rather than building it on Wordpress or something simpler that we could change on our own rather than having a hardcoded homepage. We've been able to drastically cut down on the time it takes us to create content for new webpages and we're able to cut down on all double-entry now that our users' data is directly entered into the CMS through our site and then that data is carried over into other webpages without us having to re-enter the same information. I honestly don't like anything about this platform. Literally everything. The UI, the UX, the actual platform itself. Nothing is easy about using our navigating EE. When recently went through n EE upgrade that was originally supposed to take 1 week. It ended up taking 4 months. Do not use it. Build in wordpress or any other CMS. Allows us to publish content to our website(blog). There really are no advantages to using this platform. It seems to be the lowest form of content management platform on the market, and even consultants who work on implementing it can't fix the issues that arise in it. It quickly allows our staff to add or edit content to our page and is easily designed and very user-friendly. It seems a little dated compared to the abilities of over CMSs out there. If you need a system that is easily manageable for very complex systems and workflows of content, then definitely look into EE. We can efficiently manage our website without having to rely on an agency or web developer to make edits or updates. Some of the areas are rather intuitive and easy to use. The version we have had to upgrade so we could see pages before they were published. "Expression Engine used to be the go to for large complex cms builds." Expression Engine has many features needed to build a complex template system based website. Expression Engine has a strange parse order and no variables in the template system. Try CraftCMS, it is built by the leading plugin developers for Expression Engine, and they have integrated many of the go to features and made it all work more seamlessly. Expression Engine can iterate over channel entries and produce dynamic results. "The primary content management system we use to develop web sites for our customers"
This is an extremely versatile product and if you are tired of "cookie cutter" websites, then this is a great tool to use. providing a user friendly interface for our customers to be able to manage their content assets for their web presence. It was easy to navigate and the ability to include users and create user accounts with set permissions was great. The templating system was a complete mess. It was very difficult to understand, and it was not user friendly if you do not know HTML. It served as our main website. It was probably much more robust than we needed, and the software has improved since our initial install. There were some plugins that were able to be integrated. Sometimes confusing UI, need a developer for many plugins & customization (which is only kind of a drawback as it does allow powerful customization). Website administration, lead generation, online documentation, customer support. We've been able to enable chat through the website, develop thought leadership via blog and content, and generate demand/leads via product info. "Out of date, but fairly intuitive"
I'm glad to have upgraded from this platform. Short of publishing the page, the built-in pages are ill-conceived preview models. Too many tabs and hidden pages to see overall layout. We build our public website using EE, but have recently transferred to Word Press for smoother integration. "A great CMS if you don't want everyone getting crazy"
I loved the fact that we can lock the editor down quite a bit. It's very database heavy. We're a multi-site location and we can't create multiple websites on it without it getting bogged down. It's great for one website. It's not great for multiple websites. We are creating a new website. It has helped us because it's much easier to use. Templates are nice, the platform is somewhat intuitive. The platform seems somewhat outdated in terms of plug ins and WYSIWYG editing. I have difficulty with code going array and just overall ease of use. * We monitor all ExpressionEngine reviews to prevent fraudulent reviews and keep review quality high. We do not post reviews by company employees or direct competitors. Validated reviews require the user to submit a screenshot of the product containing their user ID, in order to verify a user is an actual user of the product. Hi there! Are you looking to implement a solution like ExpressionEngine?